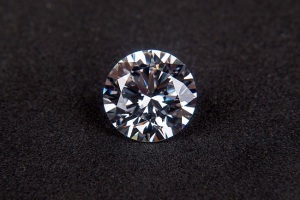 If you have been wondering what stones to include in your choice of engagement rings, you may want to think about a birth stone that represents your month of birth. These stones offer a hint of symbolism, while also giving you ideas that you may not have considered. Each month is associated with one or more stones, with June, August and December having three stones for their respective months. Depending on your colour and stone preferences, this can be a creative way to get inspiration when planning custom made engagement rings. The garnet is often found in red, but can also be found in other colours. This stone symbolises peace, prosperity and health. Many also believe that the garnet is able to give its wearer the gift of eternal happiness, wealth and health, which is never a bad thing either. Traditionally, in the west, February falls in the height of winter. As this month is often gloomy and cold in the west, the symbol for this stone lies in its ability to add extra warmth and strength, with qualities of peace, courage and stability found in this affordable, purple toned gem. Two stones are associated with March - aquamarine and bloodstone. While both are very different from one another in their appearance, they share similar symbolism of preserving or enhancing the wearer's health. A popular stone here at Cape Diamonds, April's stone is the diamond. This stone is available in a wide range of colours, including the classic clear stones, chocolate diamonds, black diamonds and even pink diamonds. The stone for May is the brightly coloured emerald. While most associate this stone with its vibrant shade of green, emeralds come in a variety of tones, from bright to dark to light green. This stone is favoured by royalty, offering plenty of dazzle. One of just three months that have three stones associated, the stones for June include pearl, alexandrite and moonstone. Ranging from cream-colored, radiant pearl and moonstone to the more unusual, highly valued alexandrite, this gives plenty of variety for June brides. The gorgeous red ruby is the stone for July. Bright, rich and bold, rubies are ideal for brides wanting something unique. This stone symbolises everything that you would imagine the colour red to symbolise... passion and energy, and good luck for love and success. Another month with three stones, the original August stone was sardonyx, before peridot was added, and later spinel. This gives lots of colour choices for August born brides. The sapphire is September's stone, symbolising wisdom, loyalty and nobility. The sapphire is said to focus the mind, encouraging self-discipline. While these stones are often blue, they come in a full range of colours except for red, which is instead classed as a ruby. October has two stones, both ideal for engagement rings. With each gem, there are almost limitless possibilities in colour, with each stone being known for their rainbow colour combinations. Legend has it that both these stones originated from the rainbow in fact. If you were born in November, you have two choices for engagement rings – topaz and citrine. Both of these stones are bright and radiant, with very similar colours that have made them mistaken for one another over the course of history. The difference is that topaz is available in colours far beyond yellow. Finally, we have December, which has three stones. All of these stones are blue in colour, with variations in colour, sparkle and opacity. Depending on your favourite colour, this means plenty of variety. You could choose your own birth day to select your stone, or the month you plan to get married. Whatever the case, be sure to contact Cape Diamond with any assistance you may need on custom designed engagement rings featuring one of these incredible stones.